Photographs and text reproduced by permission of DK, a division of Penguin Random House from Paris guide book. ©2014 by DK. All rights reserved. 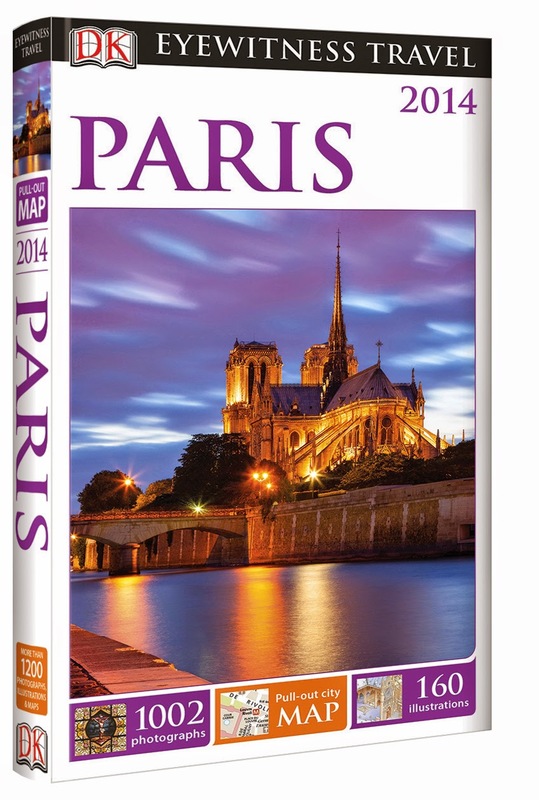 *Disclosure: We received a copy of the Paris Guidebook in order to make an accurate review. No other compensation was received. All opinions are 100% my own. Today is Bastille Day, so the perfect day to celebrate all things Parisian! Last year, my family traveled to Paris for the first time and were entirely enchanted by the city--so much so that we hope to return in the next couple of years. Lucky for me, DK Eyewitness Travel Guides reached out to me to introduce their new, revved-up travel guides to you and one of them is for Paris! Ooh la la! While there are maps of various sizes with different themes emphasizing different sections of Paris, I love that there is a pretty handy city map folded into the back cover. The map flips out easily and is plastic coated to prevent tearing and staining. Since the map is actually attached to the book, you can easily grab the book from your bag to obtain the map--minimizing rifling. The pictures in the DK Eyewitness Guidebooks are brilliantly bold. There is one at the beginning of the Paris guidebook of the interior of Notre Dame and it truly brought me back to when I was walking through the cathedral last year! Practical Information: The Practical Information section of DK's guidebooks are conveniently located at the back of the book and are jammed pack with all the info you wish you had but forgot to research. Safety info, useful numbers, passport info, currency info, info for medical emergencies and more will help you in a pinch. Historical background: DK really lays down a lovely historical snapshot to give you a background for your journey. DK does not only focus on political history but also introduces cultural and art history as well. Neighborhood strolls: DK unfolds neighborhoods for you with excellent street views pointing out buildings, attractions and businesses of interest. 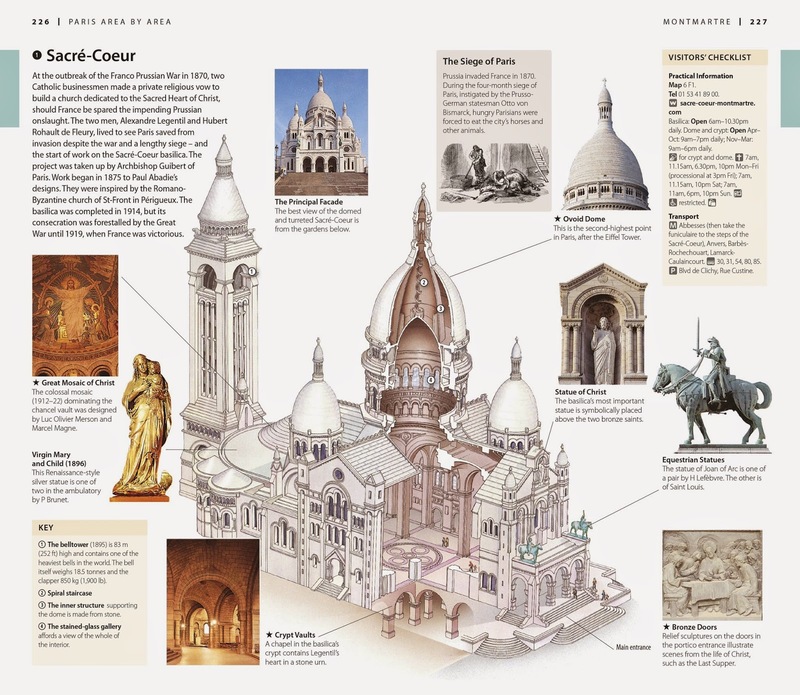 Trip options based on length of stay: The guide book lays out possible itineraries that fit your length of stay in Paris, making your visit a bit more manageable. Congratulations, DK on 20 years! Your guidebooks have served me well and I look forward to using more in the future! I've been to Paris and would love to go back but my dream trip is Greece or Scotland.